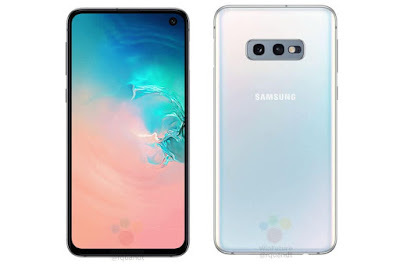 Samsung is rumored to have a lower-cost version of the Galaxy S10 in the works, and it looks like images of that phone have just leaked. 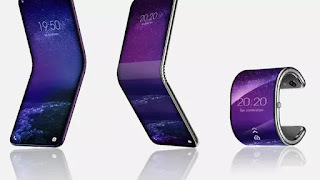 WinFuture published a series of images this morning showing off a phone they believe will be called the Galaxy S10E — a 5.8-inch version with thicker bezels, dual cameras, and a smaller battery. Like the iPhone XR, one big difference on the S10E appears to be the screen. Rather than having a screen that curves at the edges like the S9 (and, presumably, the rest of the S10 line), it appears to have a normal screen that just goes flat across the surface of the phone. It also has thicker bezels, which almost give it a resemblance to the XR, too. It does keep the hole-punch camera, though. One other quirk of the S10E: it’s expected to have a side fingerprint sensor rather than a rear or under-display one. That’d be unusual for Samsung, which doesn’t often use side sensors. Most of the phone industry has also moved away from them.